At its essence, sushi showcases beautiful, pure seafood or vegetables resting on plump pearls of rice. 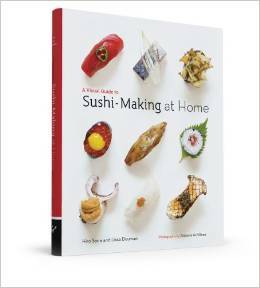 A Visual Guide to Sushi Making at Home gives you the know-how and confidence of a seasoned sushi chef to create exceptional sashimi and sushi-style dishes in your own kitchen through more than 75 delicious, accessible recipes. 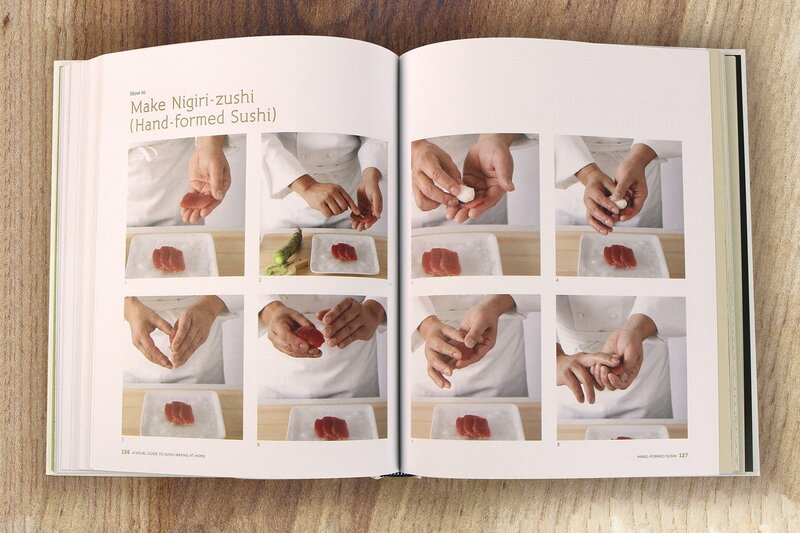 James Beard Award winning chefs Hiro Sone and Lissa Doumani share the fundamentals of sushi making via step-by-step photography and dozens of ingredient and equipment identifications. You will learn how to prep a variety of seafood and classic components such as dashi, wasabi, and cured mackerel, and how to hand-press rice balls. You’ll know how to break down a whole halibut and how to cut a tuna fillet at just the right angle into perfect slices. 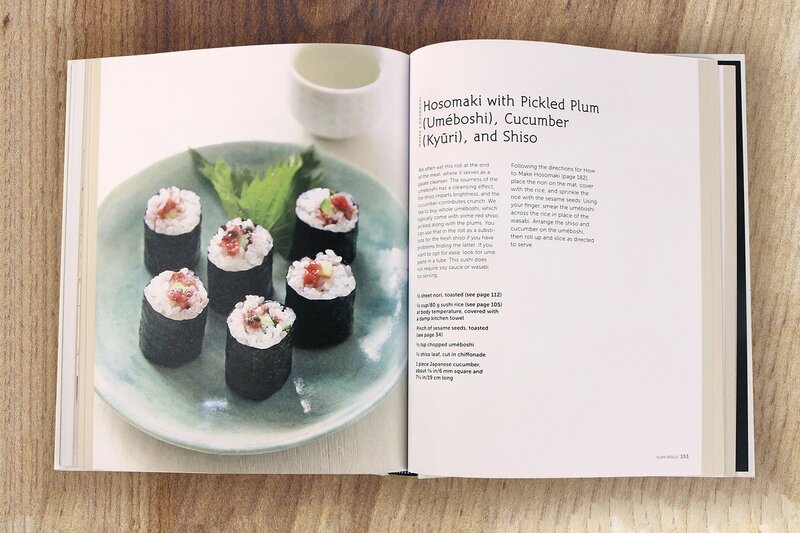 One you’ve mastered the basics, try your hand at creative rolls such as Pickled Plum, Cucumber, and Shiso. Read about what to drink with the nigiri you’ve formed. 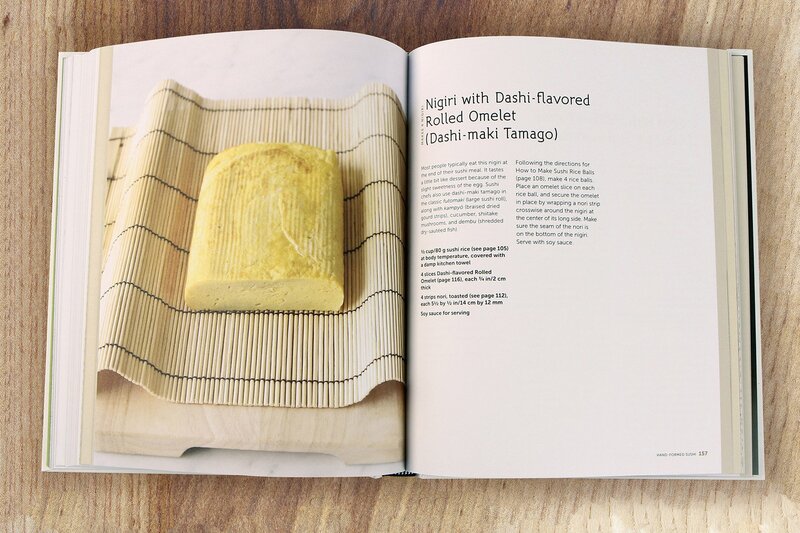 And when you long for sushi flavors but don’t want to break out your rolling mat, explore the chapter devoted to sushi bowls, such as Wild Salmon and Salmon Roe or Soy-Marinated Tuna.